I am a big fan of Hari Kunzru’s The Impressionist (reviewed in January 2012), but I do remember things taking quite a while to fall into place, for my question of “where is this all going?” to be answered, and spectacularly at that. 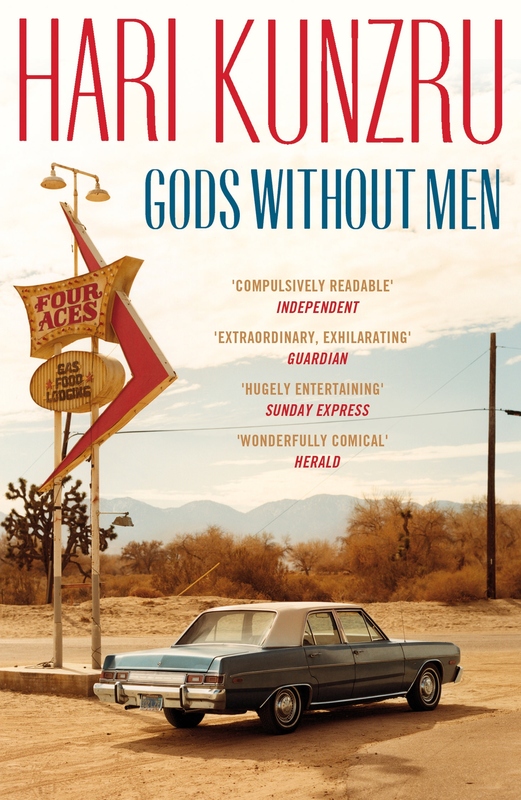 Patience is not my strongest asset (ie, I don’t possess any) as an all-round person, let alone as a reader, so I found myself asking the same questions about how the multiple strands might eventually tie together in Gods Without Men. This is an intriguing novel, clever and broad, but ultimately perplexing and deeply strange. The blurb on the back of my paperback edition reads, simply: “In a remote town, near a rock formation known as the Pinnacles, lives intertwine, stories echo, and the universal search for meaning and connection continues.” And that just about sums it up. The novel jumps between the 1940s, the late 2000s, the 1950s, 60s and ’70s, and the 1770s, all set in the Californian desert, with the bulk of the narrative centering on events in 2008. This all seems a bit gratuitous at first, a structuring device to settle on for want of better structure. And I do still think this is partly true, but as the various strands over the centuries and the decades came together, it proved less jarring. The core of the story, though, revolves around a young family from New York, Sikh second-generation immigrant dad Jaz, his Jewish wife Lisa, and their four year old, autistic son, Raj. Because of the multiple narratives, it’s likely that not all readers would consider this the central story. It is, certainly, one of them though. Raj’s developmental problems have put enormous strains upon his parents, both personally and as a couple. Tensions arising from their different cultural backgrounds had lain dormant until the stress of having an unwell child brings them to the surface. On a family holiday to California, their relationship becomes explosive, and shortly afterwards Raj mysteriously disappears out in the desert. I won’t give away the rest of the plot, but what transpires is that the desert is a weird, ancient place with stories and pulls that most people cannot hope to understand. All they can do is interact with it on the terms that it allows. I have limited knowledge of American literature, and I suspect that this kept much of the novel inaccessible to me. Kunzru is a British Indian writer, not American, but Gods Without Men is so firmly rooted in its place, the Californian desert, that I can’t help but feel there must be a lot of intertextuality going on with the literature of the western US, or at least the films and music of it. I would be interested in hearing anyone’s thoughts on this. Jaz grew up in Baltimore, but his large extended family clung to their Indian origins, disapproving of his marriage to a white Jewish girl, and his decision to shave his beard and cut his hair. Jaz’s feelings towards his family become frustrated in his early adulthood, and quite venomous later on. After Raj goes missing, they suggest that it is a blessing, a chance for he and Lisa to try again for a “normal” child. Despite Jaz’s own ambivalent feelings towards his son, he is disgusted by their attitude. Kunzru’s Wikipedia page (authoritative as it is!) states that he is fascinated with UFOs, and this is one of the threads running through Gods Without Men, centered on a 1960s new age hippy cult. But it also says that at a young age he rejected religion. This surprised me, as the ending felt like some kind of religious revelation, a post-modern meditation on the fine line between religion and spirituality. Yet, it could also be interpreted as a statement on the power of humans and nature and the landscape, as they are and as it is, rather than a suggestion that we were put here by anyone. Alien or god. 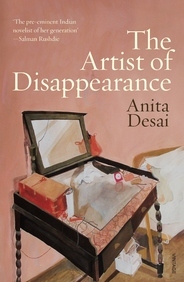 Deborah Levy, in conversation with Anita Desai at the May 2013 Sydney Writers’ Festival, alluded to the apt and oft-stated comment that Desai is a quiet writer. But, she added, Desai is only quiet if one is not listening properly. I admit that I can sometimes be an inattentive reader. My literary education has ended up focusing on the macro, on things that jump out, demand to be noticed, are suggestive of trends. And Desai’s writing doesn’t do this on the surface. But I found The Artist of Disappearance fascinating in a couple of ways. This short book consists of three novellas, or long short stories: “The Museum of Final Journeys”, “Translator Translated”, and the title piece. Desai is one of those writers who was writing in English in India long, long before it was common. Her first work dates to the early 1960s, a good couple of decades before Rushdie’s Midnight’s Children, that epic work of magic realism that made it internationally known that Indians did, indeed, write in English. Aside from being of a different generation to most contemporary Indian English-language writers, Desai’s long-spanning career puts her in a different category of analysis to them. There is very little in common between the work of Desai and Aravind Adiga, or Arundhati Roy, or Anjum Hasan. But she is certainly not an anomaly, as there are striking similarities between her work in The Artist of Disappearance and other established female Indian writers who write in languages such as Bengali or Malayalam or Hindi. And I don’t just mean in terms of content–though the predominantly rural or small-town settings of these novellas do suggest this–but in terms of style, too. Desai’s acclaimed quietness, her subtlety and realism is also clearly evident in the work of writers such as Anita Agnihotri (Bengali), Bani Basu (Bengali) or Indira Goswami (Assamese), and many others (see Kali for Women’s Truth Tales or The Slate of Life, or the second volume of Tharu and Lalita’s Women Writing in India for brilliant introductions, if you need them). I’ve encountered such work in English translation, through collections of Indian women’s writing, and while it is always a tricky thing trying to make comparisons between a text in its original language and others in translation, I do believe it is more than just coincidence that links Desai’s fiction to these older, established writers in various Indian languages. There is a common ethos evident. Things go a little bit wrong in Prema’s new translating career, however, when her ego takes over. I found this a fascinating story, connecting so many strands of my own research as it did–women’s writing, feminist publishing, language issues in India. At the Sydney Writers’ Festival sessions in which Desai appeared, she was, predictably, asked about her own language use, but if I’d been interviewing her I would have loved to ask whether in this story she was intentionally parodying the literary scene that she invokes, or whether it was simply a vehicle for her to address the questions of translation in a multi-lingual environment.